Until the setback Hobbs had entertained high hopes that Captain Chris, third favourite in the ante-post betting, could go one better after chasing home Long Run in 2012. CAPTAIN CHRIS, SECOND in the King George VI Chase last year to Long Run, was on Monday declared a non-runner for Thursday’s running of the mid-season showpiece. 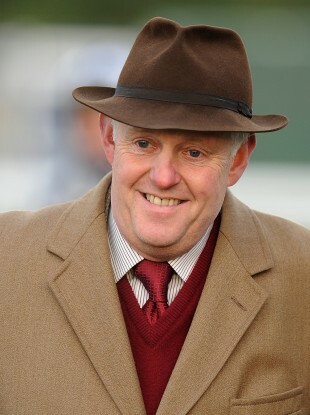 Trained by Philip Hobbs, Captain Chris misses the St Stephen’s Day highlight after sustaining a minor injury on Monday. “Unfortunately Captain Chris banged a joint on his off-foreleg while schooling this morning and is very slightly lame on it so there is no chance of him running on Boxing Day,” Hobbs told The Racing Post. His defection leaves nine declared for the three-mile chase with recent Betfair Chase first and second Cue Card and Dynaste heading the betting. Email “Captain Chris ruled out of King George”. Feedback on “Captain Chris ruled out of King George”.